How I’m Keeping My Skin Clearer During Exams! There have been 3 things I’ve been using recently to try and keep my skin that bit clearer throughout the stress that is exam time! I thought I’d share them with you in case any of you are battling with exam time skin too! 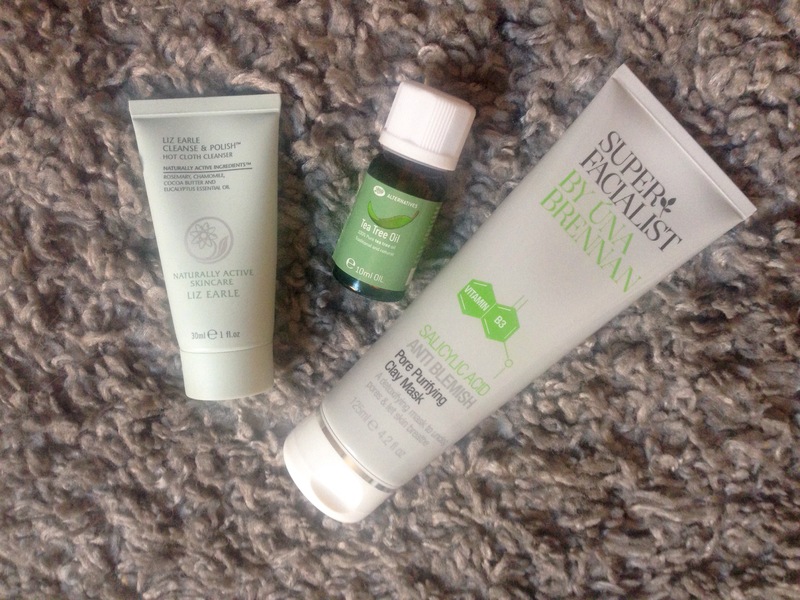 Cleansing Balms – this applies to all rather than just the Liz Earle! Now that I have ditched the face wipes, my skin has improved dramatically! I also feel like it has kept some of the moisture in my skin too so it’s no where near as dry! Tea Tree Oil – I’ve been applying this on a cotton pad with my toner and I can see the difference. It gets rid of any bacteria on the surface of my skin and enhances the toning properties of my toner. I also have a couple of drops in my bath if my back is looking spotty. That helps to clear that up! Una Brennan Face Mask – I used this the first time and panicked as it made my skin sting so badly! I was getting quite worried! But I persevered and I really felt the difference in my skin the next day. It looked clearer and the odd spots I did have seemed less red and angry than before. It has salicylic acid in so I wonder whether that was why it stung, but I do really like it and the effect is pretty good! Do you have any good tips as I am always on the hunt for more! It was exam day again today so sorry for another short post. I can’t wait for summer when I can have long posts with lots of pictures! It’s keeping me going! By the way my Twitter giveaway closes tomorrow so make sure that you’ve entered if you wanted to win those nail polishes! I found that when I completely ditch face wipes my skin doesn’t feel so irritated and sensitive! I’ve nominated you for the creative blogger award. Find it here! I’ll have to try that with the tea tree oil. But I rather dislike it’s scent. I can just woman up though, for the good of my skin!